There is no individual in this world without facing rejection and there are many reasons for it. While most people consider rejection to be painful, in reality it is a very good learning opportunity. By following your rejection you can learn and respond to the intended message. Actual rejection and feelings of rejection occur in a variety of work-related situations. In fact, rejection comes from big and small events and activities. 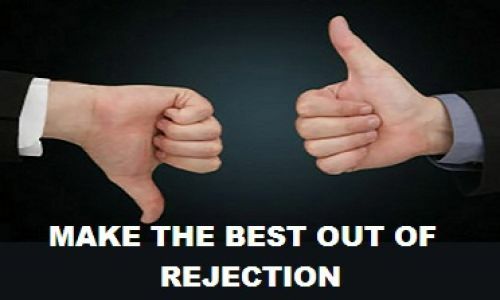 You may never control the sad and unhappy feelings that accompany rejection at work, but you can become much more comfortable dealing with rejection. Here’s how to deal with it. It is advisable to step back from the feelings of personal rejection and consider the circumstances as objectively as you can. Here are a few steps you need to take to deal with rejection at work. * Start by having a pep talk with yourself. If your internal voice is expressing negativity, tell the voice that it is wrong. Think about all of the positives that you will experience if you are courageous and seek to learn everything that you can about the causes of and circumstances of your rejection. Whatever the reason, you will never understand and deal with rejection if you can’t gather the courage to hit it head on. * There is no point in emotional outbursts as this will give you only lesser feedback and will prevent you from learning. Worst of all? Your boss or coworkers will feel manipulated by your emotions; this is never a positive factor for your performance improvement, prospects within your company, or opportunities after an initial rejection. * Look for an opportunity to ask for feedback and to gather information. Now is the time to figure out why you were rejected. If you are open to receiving feedback and demonstrate this openness to coworkers, you will receive a lot of feedback. If you argue, deny, blame, or attack the person giving you feedback, that well will instantly dry up. * Try to maintain openness to learning from what you are told rather than automatically rejecting the feedback. In the midst of all of the words that people use to inform you of your shortcomings or the better qualifications of another employee, look for kernels of information that you can use. If you automatically reject the information, you won’t learn and you won’t be able to change your performance or behavior. Ask specific questions to learn more. Remember, you have the right to reject part or all of the feedback depending on whether you believe it is real and useful. But, do learn from whatever information you receive. Use whatever information you can to be ready when the next opportunity arises. * Nobody is closely monitoring your progress and experience. Your coworkers and managers have too much else to do in their own jobs. So, it is important, and in your best interests, that you toot your own horn occasionally. Not obnoxiously, but do let influential coworkers know what you are doing to improve. Mention the coursework you are taking to your boss or to a team leader you admire. 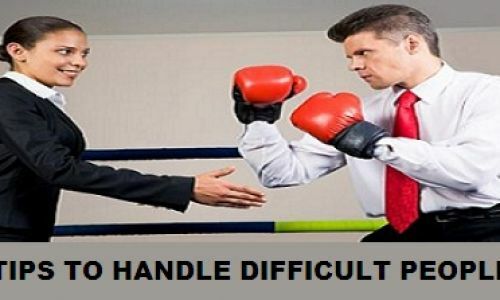 Meet with the manager from whom you received the initial rejection to let him or her know your improvement plan. * It is okay to get some sympathy from your friends. But make sure that the sympathy you seek is short term. Sympathy can't get in the way of you doing the things you need to do to be prepared when the next opportunity comes your way.